"Martin is a very professional, competent, and careful driver. He speaks excellent english, is friendly, courteous and attentive to his customers' needs. We were very satisfied with his services, both in Nairobi and on the highway outside the city. If you are in need of a driver, we would recommend Martin." Depart from Nairobi for the famous pink lake with a stopover at the world greatest Rift Valley viewpoint. Enjoy a panoramic view of the beautiful scenery, weather permitting. Have a game drive en route, arriving in time for lunch. Enjoy an afternoon game drive on the shores of the lake where you will have the opportunity to see millions of migratory birds. In the acacia woodland, you will search for the plain game including the White Rhino. Dinner and overnight stay at a lodge/luxury camp. After breakfast, have a morning game drive where you will search for the “Shy cat” (the leopard) and other plain game before returning to Nairobi. Arrive early afternoon. Depart Nairobi in the morning and drive down the escarpment via the floor of the Great Rift Valley, to arrive at Maasai Mara Game Reserve. Lunch en-route. Later proceed for an afternoon game drive to try and spot predators hunting. 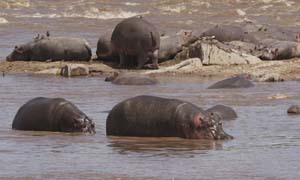 The Masai Mara is Kenya's finest wildlife sanctuary. Including migrants, well over 450 species of animals have been recorded here. 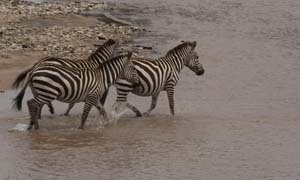 Although July, August and September are the months when the Mara plains are filled with migrating wildebeest and zebra, there is also resident wildlife year round. The famous Maasai tribesmen live within the dispersal area of the game reserve. Dinner and overnight at Mara Sopa Lodge, Keekorok Lodge Masai Mara or similar. Depart from the lodge in the morning and drive north while viewing game and make a stopover at Narok town with a chance to buy a souvenir or a cup of tea. Arrive back in Nairobi by late afternoon. 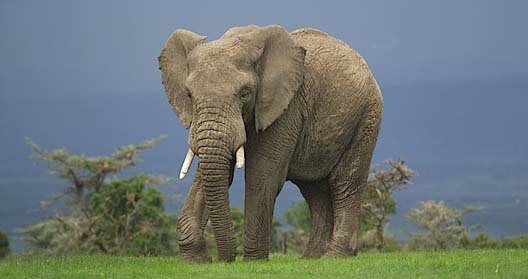 Depart Nairobi in the morning and travel to the Amboseli National reserve at the foot of snowcapped Mt. Kilimanjaro, Africas highest peak. Arrive in time for lunch. Afternoon game drive is taken. Dinner and overnight at a lodge. A full day in this photogenic park. Morning and afternoon game drives. Meals and overnight at Oltukai lodge. samburu Pick up at 08:00hrs and drive north to Samburu National Reserve to arrive at around 1400 hours in time for lunch. After lunch proceed for an afternoon game drive in the park famous as the place for the Samburu semi-nomadic tribesmen, the reticulated giraffe, the Grevy's zebra gerenuk, beisa oryx and a host of the big game including elephant and lion. Dinner and overnight at Samburu Lodge. After breakfast proceed for a game drive en route Nairobi to arrive around 14:00 hours. 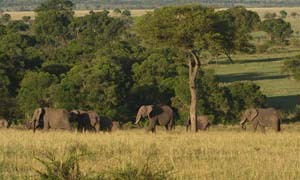 Leave Nairobi via the Great Rift Valley for Masai Mara Game Reserve arriving in time for lunch.. After lunch proceed for the game drive in the reserve in search of black manned lion, elephants, leopard, cheetah buffalo and other plains games. Return to the lodge for dinner and overnight. Proceed for an early morning pre breakfast game drive. Return to the lodge for breakfast. After breakfast proceed for a further game drive. Return to the lodge for lunch. 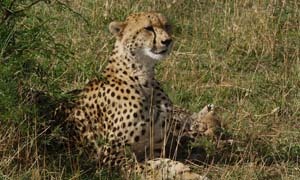 Have your siesta time till 03:30 Pm followed the late afternoon game drive. Return to the lodge for dinner and overnight. 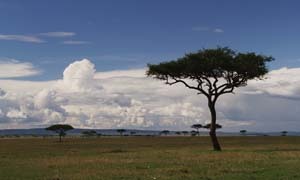 After breakfast at the lodge, depart masai mara and drive north inside the great rift valley to arrive at the worlds famous lake Nakuru National park, memorable drive along the great Rift valley ;with spectacular views and photographic sceneries. Lunch at the Lake Nakuru Flamongi Hill Camp or The Sarova Lion Hill lodge. Enjoy an early afternoon game viewing /bird watching drive in the park. 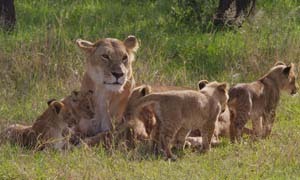 After the afternoon game viewing , return to the lodge for dinner and overnight. 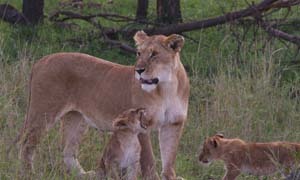 Enjoy a pre-breakfast game viewing drive before later returning to the lodge for breakfast. Lunch at the lodge. After lunch, embark on your return journey to Nairobi arriving late afternoon. 08:00 hrs - From Nairobi, take a 2.5 hour drive to the Aberdares Country Club. You pass through the industrial town of Thika and the intensely cultivated farms of the central Kenya. You relax at the Club before lunch is served at 1300 hrs. At 1500 hrs you are transferred in a lodge vehicle to The Ark, one of the two famous tree hotel in the Aberdares National Park. Aberdares National Park has a diverse topography that includes icy rivers, spectacular waterfalls and rain forests. The flora and fauna is quite unique and is not found elsewhere in the country, expect on Mount Kenya. Leopard, elephant, serval, waterbuck, reedbuck, dikdik, rhino and the rare bongo can all be found here. You are sure to see elephants, buffalos and some other animals at the floodlit waterholes of The Ark. Birdlife is also plentiful, including the monkey eating crowned eagle. After breakfast at the Ark, transfer back to the Aberdare Country Club. Then drive to Lake Nakuru in time for lunch at Sarova Lion Hill Lodge. At 15:30 hrs proceed for an afternoon game drive in Lake Nakuru National Park. 08:00 hrs- Drive to via the Great Rift Valley to arrive at Maasai Mara in time for lunch at Mara Sarova Camp. 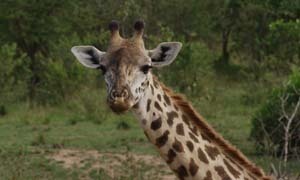 1530 hrs- go for an afternoon game drive till dusk. 06:30 hrs- Take the opportunity to fly over the Mara in a Hot air Balloon provided at extra cost. The balloon package includes a champagne breakfast in the wild! If you can spare the money, viewing abundant game afloat a balloon is an unforgettable experience. After breakfast return to Nairobi arriving around 13:00 hrs.